Immigrant Indians are among the most successful people in the US. 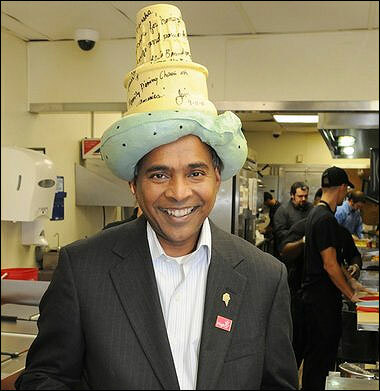 Harsha Agadi, chairman of Friendly's Ice Cream Corporation, is no different. 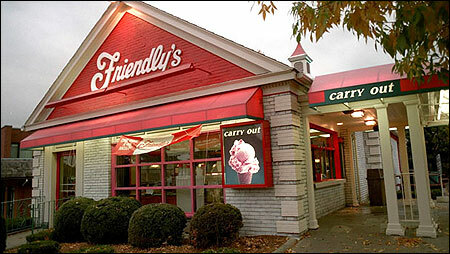 Friendly's is present in 13 states in the US. But Agadi is just not 'an ice-cream man'. He runs an engineering college in rural Karnataka, a college known for its excellent infrastructure, faculty and most of all it must be one of the very few private engineering colleges in the country that does not collect capitation fees. 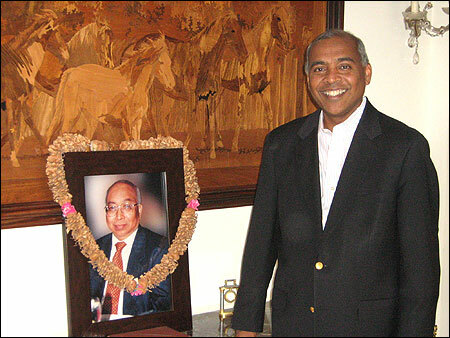 Son of a former chairman and managing director of Pfizer, Agani was born in Bangalore (now Bengaluru) and was brought up in Mumbai. I did my schooling and college in Mumbai, first, Arya Vidya Mandir school and then Sydenham college to graduate in Commerce. I did my MBA in Duke's University, USA. My father belonged to Northern Karnataka. He came to Mumbai in the early fifties to study in Podar College. He learnt English along the way as he was from a vernacular language school. He was very successful in his corporate career. 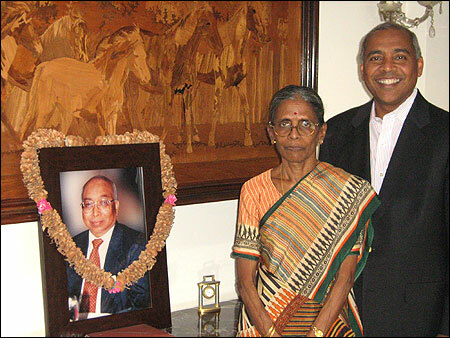 My mother Kamala is the great grand daughter of the first Indian aviator S V Shetty. He flew a plane six to seven years after the Wright brothers. He used to work for Avro in England. I got married in 1989. It was one hundred per cent arranged. We have a 13-year old son. I decided to move to the US in the seventies when I was very young, but, actually landed there in 1984. The early years were interesting. When you grow up in a upper middle class home in India and then migrate to the US you have to start from the bottom. It is a very humbling experience. They are extremely open to immigrants and so being a part of the society is not difficult there. I chose to join Corporate America particularly in the food line. I always wanted to work in the US. My first job was at Kraft General Foods. My first job as president was in 1997 in Little Caesars -- a multi-billion dollar pizza company with presence in several countries. 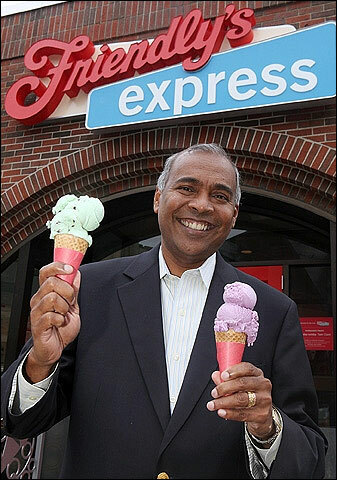 At present, I am the chairman and CEO of the $800-million Friendly's -- an ice cream company. Before that I was the chairman of Church's Chicken. It was my father's dream to give world class education to the rural youth at a price he could afford. I am just carrying on his work. We do not accept donations or capitation fees. No cash payment of any kind is allowed in our college. We charge only the fees approved by the AICTE. There is a management quota but that has a fixed price. We have numerous scholarships provided by family members and corporate houses. Blue Cross and Sonata are two such companies. I am the chairman of the board of trustees. I oversee the college. They are professionally staffed. They are fairly independent and run on their own though I approve the annual budget. I also guide them on how to grow. I give them the vision and the direction. I am into philately. I started collecting stamps from a very young age and now it has grown into a big collection. Image: Agadi with his mother. I hardly take any holidays. I rise at 5 am and leave the house at 7 am. I have many meetings through the day. I have restaurants to visit and also attend board meetings. I also have routine conference calls with the college in India. Good time management is of utmost importance. Indians, thanks to their hard work will always succeed in the US, irrespective of the state of the economy of that country. As a matter of fact, we Indians will succeed anywhere in the world. If you work hard enough, and are sincere, then you will reap good rewards in the US. In the US there are six public holidays a year, here there are 20 plus. Work responsibility for the management in the US is 24 by 7. Productivity in the US is very high compared to many countries. In India the IT companies work 24 by 7. All offices in the US open sharp at 8 am. Here it is flexible. Punctuality there is significantly better. I think competing in India is very difficult. The US has a fairer environment to succeed. I am going to stay there (in the US) and keep coming here (India). My heart is here. I am only a flight away. First look: Miss India USA 2011! Are Kareena, Vidya stylish? Vote! Chat with Harsha: Should Sachin have played the Windies ODIs?